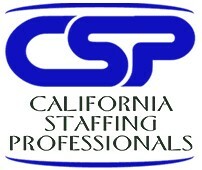 Staffing Solutions - Santa Ana | Montebello - Staffing Solutions - Great Workers for Great Companies! Staffing Solutions C.E.O. Fortino Rivera recently, had the privilege of being interviewed on West Coast Weekly which is a show on KDOC. The interview consisted of assisting Millennials ace their interview. Millennials are the future of America, so it is important in helping those we can with knowledge and wisdom. Staffing Solutions provides Clients with the tools and talent they need to control the immediate increases in production and to screen out key worker to build a department to your standards. As a full service supplier we implement Systems, Methods and Controls that ensure the same high quality of service each and every time you deal with us. Our executive staff members have over twenty years of experience leading the industry's premier staffing organizations in Santa Ana and Montebello. We feel that every customer must be treated with respect and professionalism, regardless of their size or type of business. Fortino brings over 17 years of sales, marketing and management experience as Sr. Marketing Executive in the staffing industry, National Sales Manager with a California based manufacturer and Latin America Sales Manager for a multi-national corporation. Lucia comes from one of the Staffing Industry's leading national staffing organization. Lucia brings over 15 years of experience and was instrumental in her office becoming the number one grossing office in Orange County with weekly billing in excess of $ 500,000. Since opening our doors in 2004 Sta­ffing Solutions has maintained a 90% client retention rate. In addition, our annual customer surveys rank us in the top tier rating of “Excellent” for the past seven years. Furthermore, for over twelve years Sta­ffing Solutions has been successful in growing and expanding its business while helping our clients meet and exceed their workforce goals and objectives. “Our track record with temporary labor providers was mediocre at best—up until the point we had the good fortune of teaming up with Lucia Montellano, Fortino Rivera and their company, Staffing Solutions. They have built their company with a relentless pursuit of delighting their customers. Everyone on the Staffing Solutions team is a true professional in the manner they conduct themselves and follow through on their promises. It’s refreshing to collaborate with a team that has taken the time to TRULY understand our requirements and then has meticulously screened their applicant pool to assure they deliver the right matches. 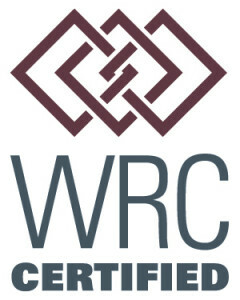 This includes pre-employment orientations and tours of our facility for all prospective placements, a genuine understanding of safety in the workplace, and meticulous follow-up after the placement step. 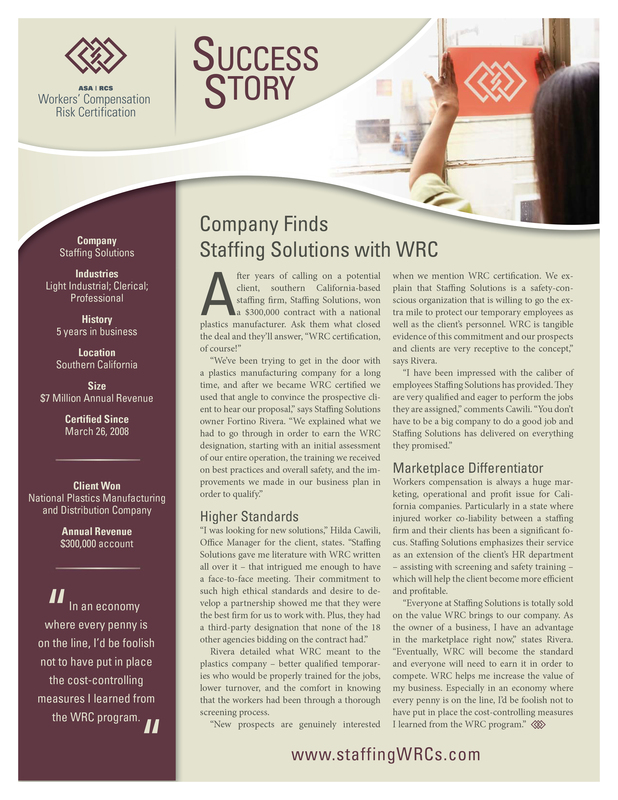 "I have had the pleasure of utilizing the services provided by Staffing Solutions. They are a first class employment agency. They do not cut corners. They verify all the documents required for employment. They are always in contact with the client. They provide excellent customer service to the client and their associates. I highly recommend them as an employment agency. They do become an extension of your business." Alstyle Apparel/A & G Inc.
"Staffing Solutions is the best staffing provider I have ever used."